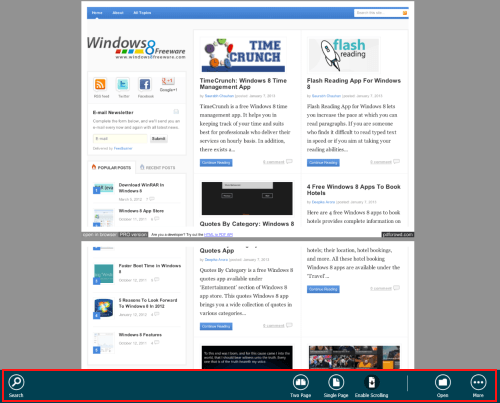 Wondershare is a free Windows 8 PDF reader app available under ‘Productivity’ section of Windows 8 app store. It provides you with an easy-to-use interface quipped with all functionality to match your PDF reading requirements. This PDF reader Windows 8 app supports Zooming-in, zooming-out, Bookmarking, easy navigation, magazine layout and more. 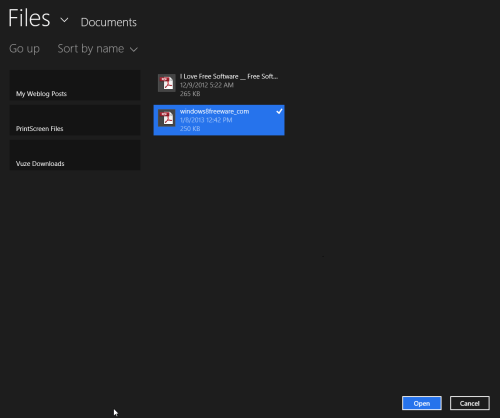 This lightweight Windows 8 PDF reader app allows you to open and read PDFs at any time. On launching Wondershare Windows 8 PDF reader app for the first time, you will be shown a blank window with a browse button. Next, you require to click on the ‘Browse’ button after which you will be taken to a new window showing PDFs in your documents library. You can also fetch PDFs from other locations as well. Now, your task will be to select the PDF you want to read and click on ‘Open’ button in bottom-right section. On doing so the PDF file will load and you can begin reading it. On right clicking on the blank region a horizontal bar will emerge in the bottom section containing various controls. Search button for finding occurrence of a word or phrase in the PDF document. Cover page button allows takes you to the first page of the PDF file. It comes quite handy in scenarios where the PDF file being is systematically linked and bookmarked. Two Page button to switch into magazine mode. Enable Scrolling button will enable/disable scrolling in current document. Open to read another PDF file. Under more you are given the option to rotate file to ninety degrees and to view its properties/permissions. Once you are done with reading click on ‘More’ and select ‘Close file’. The file opened recently can always be accessed form home screen. Also, check out our posts on Barcode Generator Apps, 3D Reader, and PDF Printer. It is very easy to install Wondershare Windows 8 PDF reader app. Open this link in Internet explorer 10 or later. Then click on ‘View in Windows Store’ button followed by a click on ‘Install’ button in Windows Store. * It requires permission to access your Pictures Library. 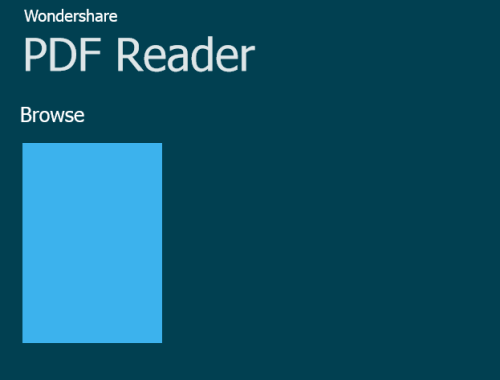 Wondershare Windows 8 PDF reader app is quite lite weight and easy to use. You must give it a try.